Not much description necessary here. 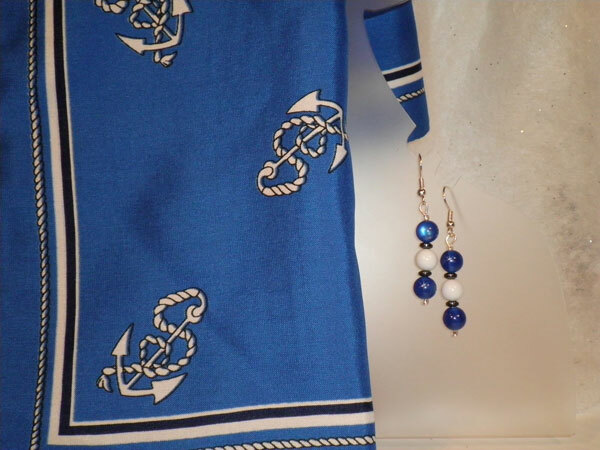 What you see is what you get in this beautiful cobalt blue, sailor-themed scarf with white and black accent colors. The earrings measure 1 1/2" from the finding loop with cobalt and white rounds separated with charcoal discs and surrounded by silver seeds. This set has a cool, crisp feel.